Earlier it was the Gujjars, now it is the Jats. Before that it was the Mala-Madiga dispute in Andhra Pradesh. And one often hears about reservation for all Marathas in Maharashtra. The names keep changing, the pattern does not. Neither does our response. The script is familiar. Caste groups like Jats and Marathas, land-owning communities with some numeric strength and political clout, lay claim to backwardness. Those below them in the social order, like the Gujjars in Rajasthan, resent this intrusion and want special protection to safeguard their benefits. Or those communities among the SC or OBC who have not benefited much from reservations want a sub-quota . Agitators take to the streets, often blocking roads and railways. Governments do not want to take a decision and resort to soft-pedaling , delay tactics and collusion, hoping that that the judiciary will step in to relieve them of the burden of decision-making . There is no need to start from scratch in the search for a way forward. As often happens in India, the solution lies in the cupboards of a ministry. The report of an expert committee headed by professor N R Madhav Menon, “Equal Opportunity Commission: What, Why and How?” has been in the public domain for two years. (Accessible at http:// minorityaffairs.gov.in/newsite/reports/ eoc_wwh/eoc_wwh.pdf). The report suggests the formation of an equal opportunity commission (EOC) as a long-term mechanism for dealing with disputes concerning social justice. The proposed EOC would be a path-finding institution that would help evolve and evaluate mechanisms for affirmative action, using an evidence-based approach . It would gather data on the socio-economic and educational status of various social groups and communities. 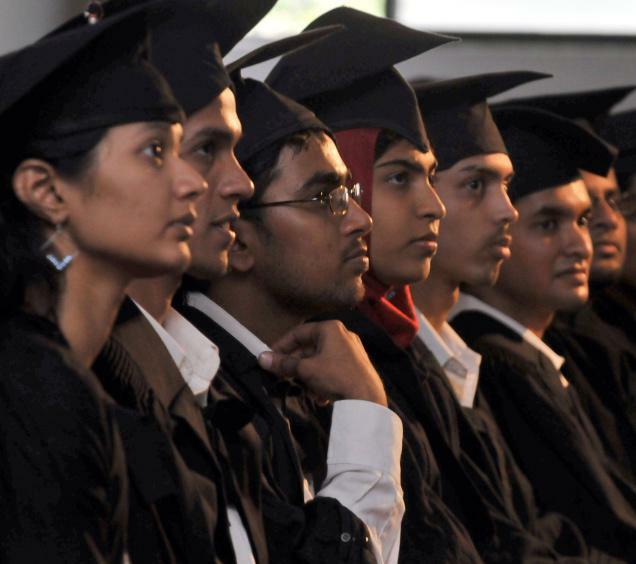 It would also monitor the social profile of higher educational institutions and select sectors of employment. The EOC would be open to any social group that perceives a denial of equal opportunities. It would cover public and private sectors. Unlike the existing commissions , the EOC will focus on advisory, advocacy and auditing rather than individual grievance redressal. An EOC was on the Congress manifesto in 2009. It was mentioned in the president’s address to Parliament. Yet the proposal is still doing the rounds of the corridors of power, caught up in the turf-wars that ministries and commissions play in New Delhi. If we had such an institution by now, the Gujjar dispute, the Jat agitation, the Mala-Madiga dispute and several others could have been resolved. Protests may still occur but there would be a clear mechanism and some solid evidence to resolve disputes. The forthcoming caste census could help with some of the evidence needed for a clear affirmative action policy. But it can do so, only if the findings of the main census are linked to the caste census and we get demographic , educational and economic data for each caste. The preliminary figures of Census 2011 are out and we still do not know the exact nature of the caste census that is to take place later this year. Perhaps we are waiting for another crisis . To borrow a Hindi proverb, we believe in digging a well after we notice a fire. A seven-judge bench of the Andhra Pradesh high court gave a historic judgment last week on the constitutional vice of religion-based reservations. This is the third time that the high court has declared religion-based reservation as violative of the constitutional prohibition of discrimination based on religion. In 2004, a five-judge bench of the high court struck down a government order providing five per cent reservation for those of the Muslim religion since the government failed to comply with the condition precedent: consultation with the Backward Class Commission, a statutory body whose job is to investigate backwardness of any proposed group. The government then referred the issue to the Backward Class Commission and, based on its recommendations, the state issued an ordinance providing for five per cent reservations for the “entire Muslim religion”. A five-judge bench of the high court struck down the ordinance on the ground that the entire religion cannot be treated as a homogenous class. The majority judgement of Justice V.V.S. Rao held that a legislation intended to benefit a class of people who belong to the Muslim community is violative of Article 15(1) and 16(2). The court ruled that the state failed to conduct a scientific investigation that showed that all those of the Muslim religion comprise a backward class. It also ruled that the five per cent fell foul of the 50 per cent outer limit prescribed by the Supreme Court in Indira Sawhney. In appeal, the Supreme Court did not stay the judgement and referred the issue to a constitution bench, where it is still pending. After this judgment, the state sought to rectify the constitutional vice by issuing an ordinance that confined the reservation to four per cent, and to certain groups within the Muslim religion, excluding Muslim groups who were never known to reside in AP. It provided for a residual category of “other Muslim groups” who could also benefit from reservations. But it failed to rectify the primary constitutional vice of religion-based discrimination. The ordinance provided reservation only to Muslim groups. In Andhra, backward classes are divided into four categories based on the extent of backwardness, but the government in the ordinance created a new category exclusively reserved for Muslim backward groups. Although several groups had made a representation to be designated as a backward class, including other minority communities like Sikhs and Christians, the state chose to provide reservation only for groups within the Muslim religion. The court held that the entire ordinance was religion-specific since it focused only on the Muslim community. Chief Justice Anil Dave in his majority judgement held that the “residual category” provided an incentive to conversion since any person who subscribes to the faith of Islam would be a Muslim. He held that it was “subversive of the spirit of secularism” and it would lead to unscrupulous people embracing Islam to benefit from reservations. All the three judgments are significant for fleshing out the constitutionally compatible norms for identification of backward classes. Any exercise of identification of backward classes has to be preceded by a scientific investigation of backwardness. The identifying authority has to lay down relevant criteria for assessing social and educational backwardness. This should be followed by an empirical investigation that considers all sections before designating a group as a backward class. Does the high court imply that groups within Muslims cannot be designated as a “backward class” and benefit from reservations? Certainly not. If an investigation of backwardness of all of society reveals that certain groups among the Muslim religion are indeed backward, there is no prohibition in designating them as a backward class. Nowhere is this more evident than in Andhra itself, where the Supreme Court upheld inclusion of certain Muslim groups in the backward class list when the investigation was suitably extensive. But if the investigation of backwardness is confined exclusively to one religion, it will fall foul of the constitutional prohibition of discrimination based on religion. It is constitutionally permissible to include a religious group within a backward class list, but it is constitutionally impermissible to make religion the basis for the identification of backward classes.